Move oven rack to position slightly above middle of oven. Heat oven to 500°. Spray rectangular pan, 13x9x2 inches, with cooking spray. If fish fillets are large, cut into 4 serving pieces. Mix remaining ingredients except margarine and parsley. 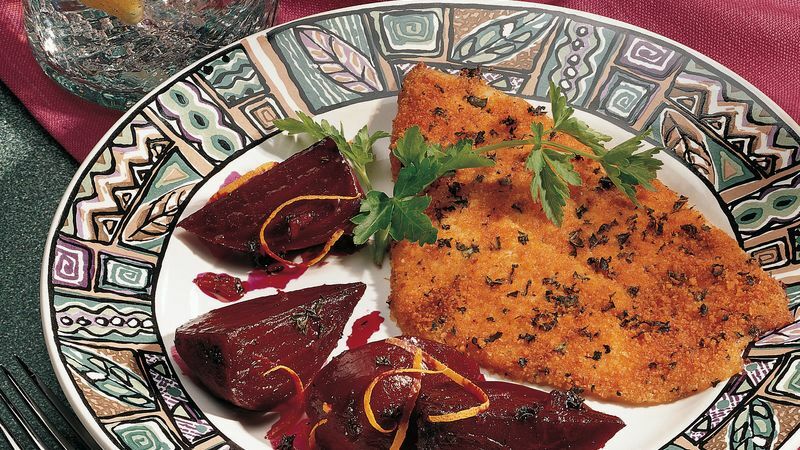 Brush one side of fish with margarine; dip into crumb mixture. Place fish, coated sides up, in pan. Bake uncovered about 10 minutes or until fish flakes easily with fork. Sprinkle with parsley. Fish is a top-notch option for those trying to get the most satisfaction from the fewest calories. Per calorie, fish has been found to be more satisfying than lean beef or chicken. How's this for an exercise quickie? Just 4 minutes of jumping jacks and 4 minutes of jumping rope burns about 80 calories in 8 minutes! Be sure to include a couple of minutes to warm up and a couple of minutes to cool down and stretch properly.